A contemporary re-working of a classic style, this small table lamp lends a refined touch to modern interiors. 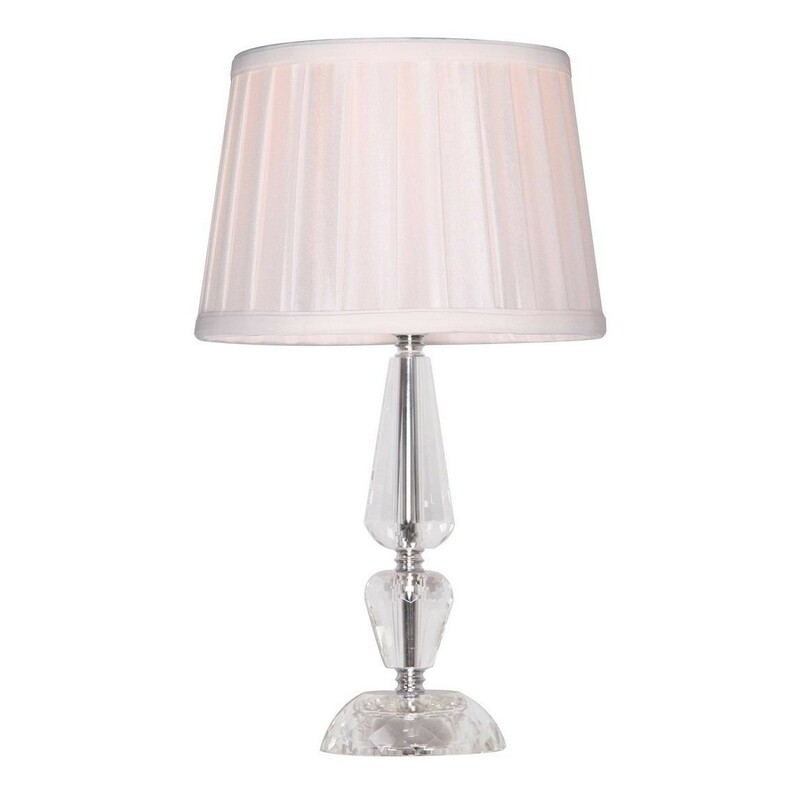 Detailed with a sculptural glass crystal stand and base, it has a pleated textured shade that concentrates the light to a smaller area for a dramatic feel. It requires 1 x 8W bayonet cap BC LED bulb.